Rabbits should be vaccinated against both Myxomatosis, VHD and now the most recently introduced VHD2. Vets are currently offering a dual vaccination which covers both Myxo and VHD for the year but it does not cover VHD2. 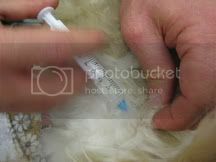 These vaccinations should currently be administered two weeks apart and we have had so many rabbit owners coming to us, believing their rabbit to be fully vaccinated, unaware of the need for the VHD2. If you haven't had the second vaccine or you are unsure if your rabbit is covered please talk to your vet. All three of these conditions are usually fatal and can be avoided. Remember, being indoors does not protect your rabbit against these diseases. Myxomatosis is widespread throughout the UK. The most likely route of transmission is via biting insects, such as mosquitoes, fleas and furmites, carrying the Myxoma Virus and injecting it into the skin when they bite. Nothing is 100% effective but the myxi vaccine is the most effective measure you can take to help prevent or limit the effects of this disease. An unvaccinated rabbit with this disease will almost certainly die. 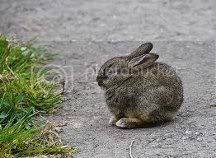 Myxomatosis is a dreadful disease, in an unvaccinated rabbit it causes immense suffering and affected rabbits can take a fortnight to die whilst treatment is usually futile. Because of this a vet will usually recommend euthanasia. Symptoms can often start looking like early stages of conjunctivitis with runny eyes however the rabbit genetalia are also swollen. This will quickly escalate to severe conjunctivitis, blindness and swellings on the head and body along with excessive pus discharge from the eyes and nose which are sealed shut. Death will eventually follow. An infected, vaccinated rabbit could have various responses to the disease from slight skin lesions to being quite poorly but the difference is that a vaccination turns a fatal disease into a treatable one. VHD1 (Viral Haemorrhagic Disease) is easily spread between rabbits and their contaminated surroundings and it is possible to carry it on human clothing or shoes for up to three months. The best way to protect your rabbit against this disease, which can kill in the space of two days, is again to get them vaccinated. Other than vaccination there is no protection for your rabbit against this disease as it is incurable. VHD is caused by a calicivirus and has an incubation period of just one to three days. The virus itself is very stable in the environment and can survive for up to 105 days. Signs of VHD include depression, collapse, difficulty in breathing, convulsions, high body temperature, lethargy and bleeding from the nose. Death usually occurs within 12-36 hours after the onset of fever and, because of the speed of death, often apparently healthy rabbits are simply found dead in their hutches with no obvious signs of the disease. VHD2 (Viral Haemorrhagic Disease) very similar to the VHD1 VHD2 is very easily spread not only animal to animal but by clothes, hay insect, by foot traffic having trod in an infected rabbits droppings. It can easily survive for long periods of time in the environment and again it is usually fatal with pet owners reporting no obvious signs of illness just finding their rabbit passed away. Differing from VHD1 is the length of time the rabbit is infectious before death which can be up to nine days. This results in the disease being more wide spread and due to the lack of symptoms often the rabbit is untreated and containment measures are not carried out. Again, other than vaccination there is no protection for your rabbit against this disease and it is incurable. We will not rehome our rabbits to a home that is not prepared to vaccinate their rabbits and keep them current, whether an indoor or outdoor home, and part of the adoption agreement is that these will be kept up to date. Don't risk the life of your bun for the sake of a simple trip to the vet. Most vets will give your bunny a full MOT at the same time and often the cost of a vaccination is significantly cheaper than a consult.